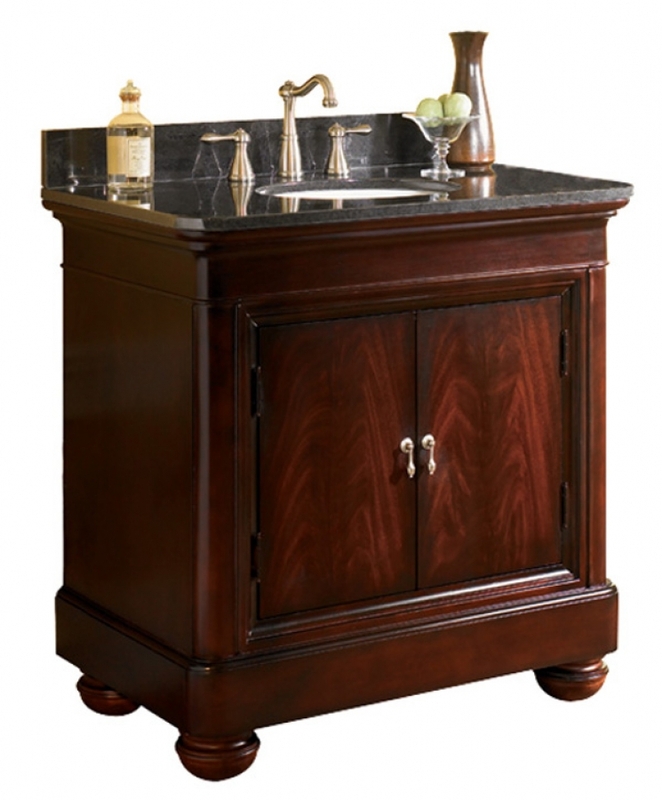 Two large cabinet doors, self leveling feet and a rich merlot finish give this 30 inch single sink vanity a luxurious appeal that will be perfect for your bathroom. You also get to choose from black or tan granite for the counter top. 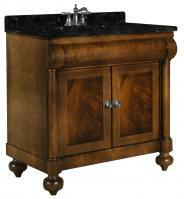 An under mount sink is included but fixtures are sold separately.